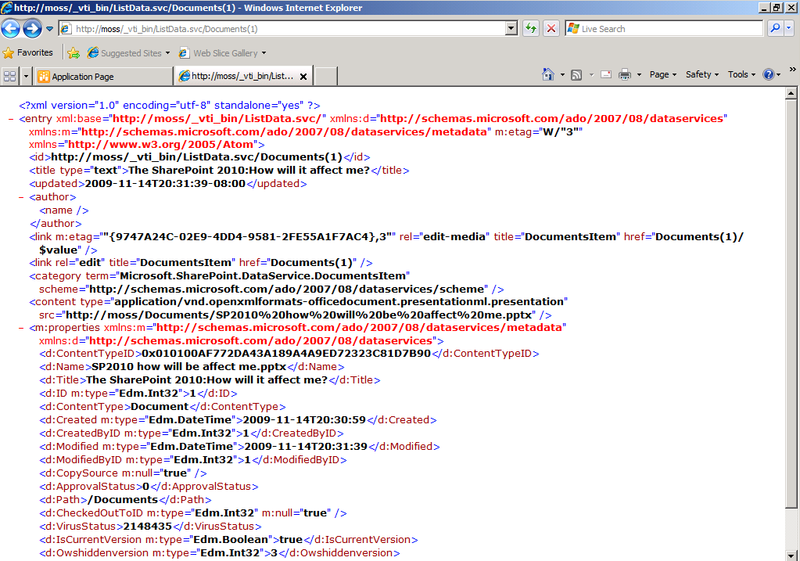 SharePoint 2010 has new and improved ways to work with data. LINQ to SharePoint lets a developer work with data from SharePoint lists in a strongly typed way that preserves relationships between lists. Integration of ADO.NET Data Services provides a way to get data from SharePoint remotely using REST style web services. The new Client APIs provide a programming model for SharePoint lists that doesn’t have to run on the server. This talk will demonstrate how to write code that uses each of these new data oriented features and will show some new SharePoint platform data oriented features along the way. We will also explain how to choose which data access technology is best for different custom development scenarios. Powered by ADO.NET Dadta Services "Astoria"
You need ADO.NET Data Services v1.5 CTP2 installed on server to be able to use the REST feeds. If you don’t have this installed you’ll just get blank pages with no errors. 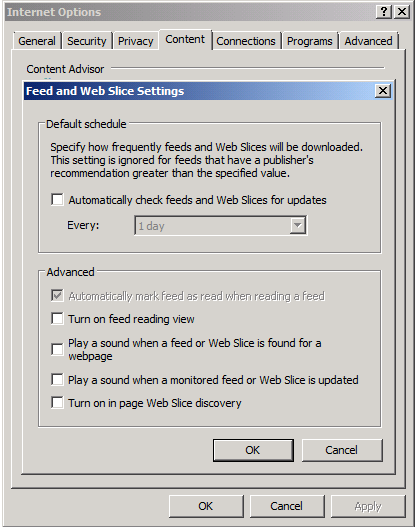 Turn off Feed Reader view in Internet Settings | Content Tab | Feed and Web Slice settings. Uncheck "Turn on feed reading view"